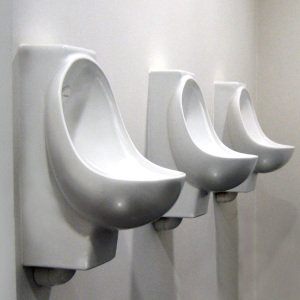 Urinals can account for about 20% of office water use. The 1999 Water Regulations stipulate that there should be a maximum water usage of 7.5 litres per urinal bowl per hour and that a device should be fitted to prevent the urinals flushing when the building is unoccupied. However, in practice, flush rates are often adjusted, in an attempt to reduce odour or blockage, and flushing can continue for 24 hours a day, 7 days a week. For some offices and buildings, this may mean that 76% of flushing occurs when the building is unoccupied. New flush control technologies include timer controls, which can be set to match the hours the urinals are in use. Infra-red or ultrasound sensors have also been developed which work by detecting the presence of people, providing supplies precisely when required. Similarly, some urinal flushing systems may be triggered by variations in water pressure or flow, caused by taps being used. There are now also a number of urinals that work without using any water. Potentially offering significant financial and water savings, waterless urinals also offer the advantages of being more vandal and frost-proof and less prone to blockage. Instead of water, many use disposable cartridges, oils or matts, which can involve significant environmental and maintenance costs. With such products, according to the Water Regulations Advisory Scheme, “It is necessary to evaluate the cost of cleaning chemicals and manpower against the savings from fewer water fittings and the use of water”. 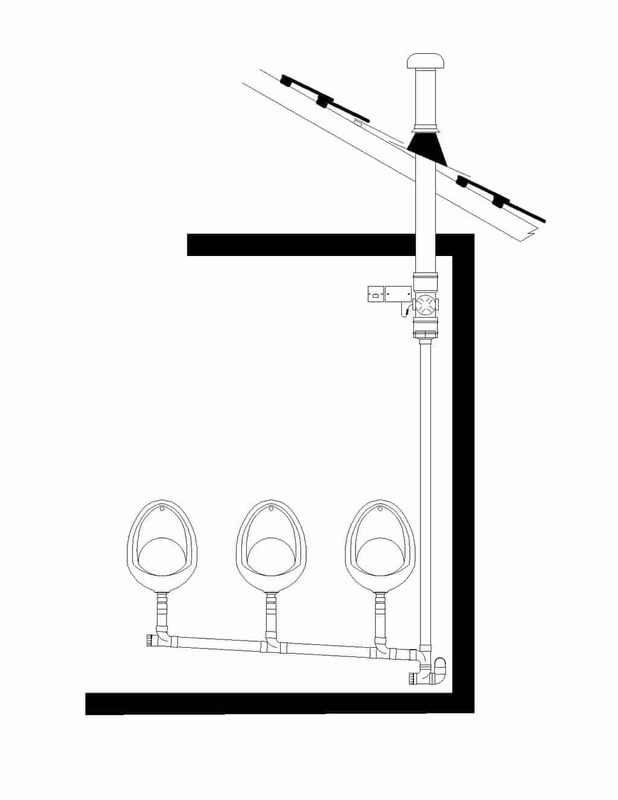 A recent development has been the introduction of the AIRFLUSH urinal system (available from Green Building Store), which uses neither water nor cartridges, oils or matts. Instead, the AIRFLUSH system, designed by water conservation specialists Elemental Solutions, combines the use of a low energy electric fan with hygienically-designed urinal bowls.